We're all about spreading the word on companies making a difference. International Princess Project Vision: Restore hope and dignity to women formerly enslaved to prostitution. International Princess Project Mission: Establish self-sustaining enterprises in partnership with indigenous organizations that provide for physical, emotional and spiritual needs of women formerly enslaved to prostitution; AND advocate for women enslaved in prostitution around the world. 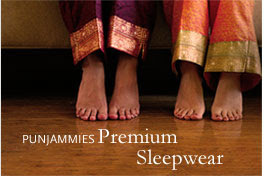 They sell adorably beautiful pajamas. And they are made at a rehabilitation facility for women formerly enslaved in prostitution in India. My friend has a pair ... and loves them. Loves them because they are beautiful. Loves them because they help make a difference. SO AWESOME!!!! I LOVE this! Thanks for posting this stuff, Lisa.